When I first arrived on Lesvos, the difference between Kara Tepe and Moria was evident. Moria looked like some sort of prison. When I entered the gate, I immediately saw a lot of people, it was very crowded. There were tents everywhere and some boxes with beds in them. I looked to my right and I saw a group of men sitting on the ground in a circle. I went up to them and asked what they were doing, they told me that they were waiting for their food for almost 3 hours. They were sitting on the ground in line, waiting. It was so overwhelming for me from the very beginning. I felt overwhelmed because I immediately wanted to help everyone and fix everything. But after a while, I realized I was there to make small changes instead of structural and sustainable changes. I would like to go back someday and focus more on things that can be improved regarding the efficiency of houses, how to organize warehouses and how to make bigger impacts. I gave out clothes, I really liked that. Through this task I got to be in touch with residents and build connections with them. I got to communicate with them almost every day and sometimes for a few hours per day, that was a lovely feeling. I also got to go to the Olive Grove. People there were so calm and kind. I handed out breakfast every morning at 7 a.m. It was really nice to have interaction with them. 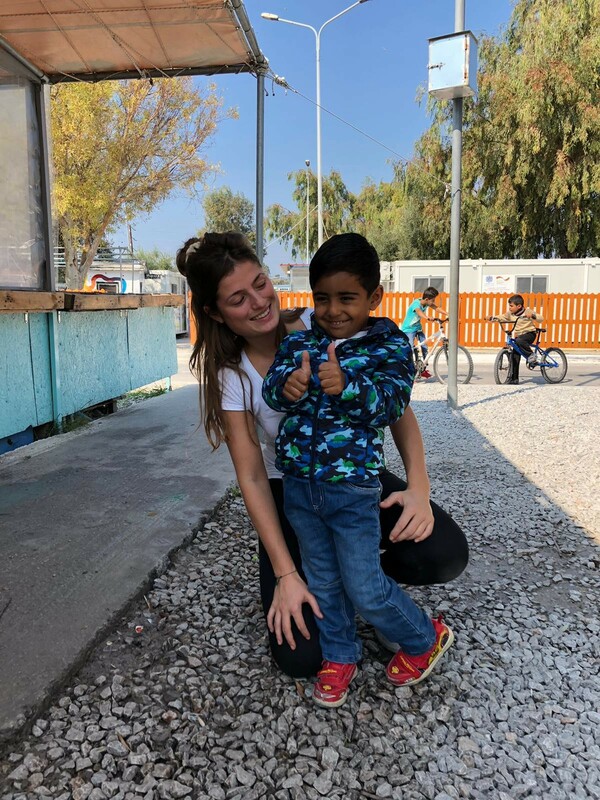 Other tasks included carrying out a yoga class on Moria with another volunteer. The yoga class was for women and they were so excited. First, we did yoga, then we did a workout, and at the end of the activity we danced to the music of their choice. There were 30 women of different nationalities and they were all so happy. It was such a special moment to see that you can do a lot with a smile or a dance. 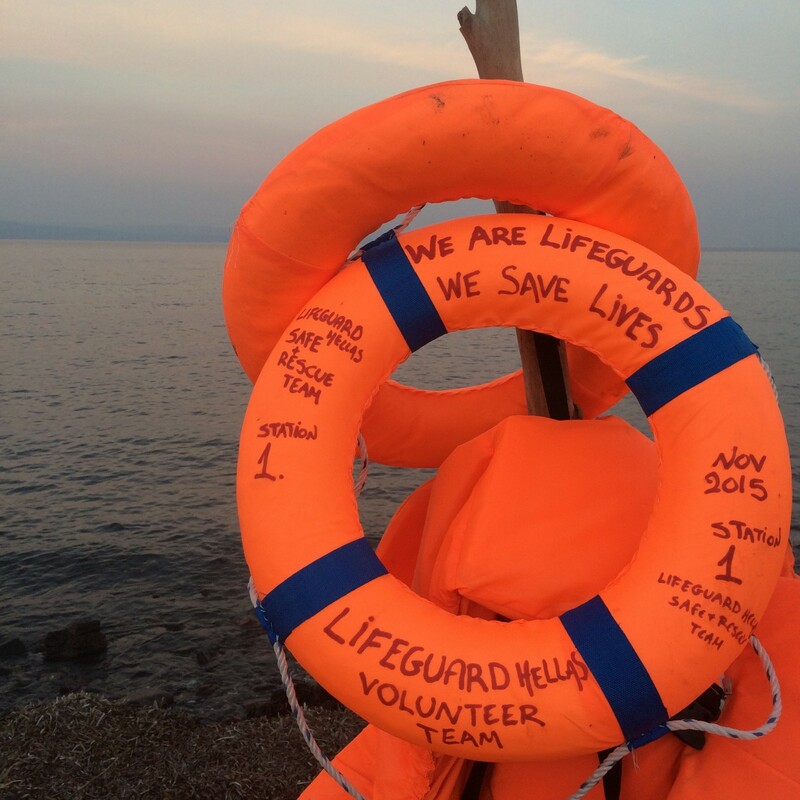 During my time as a volunteer, I got a better insight on what the real situation is on Lesvos,and that made me think of possible solutions and how I can help. I think everyone follows the news about camp Moria- its living conditions and violence and so on, but I think you really can’t understand it until you see it first-hand. I think it’s important to hear stories and match faces with stories, and meet people and make friendships and develop your own opinion instead of listening to all those newspaper articles that only have negative things to say. The ladies’ night was so much fun! Every Wednesday night is the ladies’ night in the Community center. The ladies from Kara Tepe also joined and they were all very well-dressed with makeup, and they all wore beautiful dresses and heels. The little girls were really excited for the night to begin. The ladies took off their scarves and they began to dance and it was so nice seeing every culture coming together, and dancing to different types of music. They were dancing together in a circle. It was amazing to see. The little boys were trying to pop their heads around the door trying to get a sneak peek and we would tell them that there are no boys allowed, but then they would find a little hole in the tent and try to take a look anyway. It was really funny. Another really cool activity was the Community cooking event. It takes place every Monday and all resident volunteers cook different dishes from their culture and it was really interesting to see what every culture likes to eat. At first, I really wanted to fix everything at once. But then I realized I was there to do the operational stuff, and to keep the organization running. There were still lots of things that need to be done so that was quite hard, I think. When I came back to Amsterdam, I faced some difficulties as well because everything was so quiet, I had to go back to reality and start writing my thesis. It’s hard to know that everything is still the same on Lesvos. And it’s hard to think that I had to leave everything behind and come back to my reality, my life here in Amsterdam. There’s no solution yet and that’s a strange feeling. If I can go back again, I definitely will.